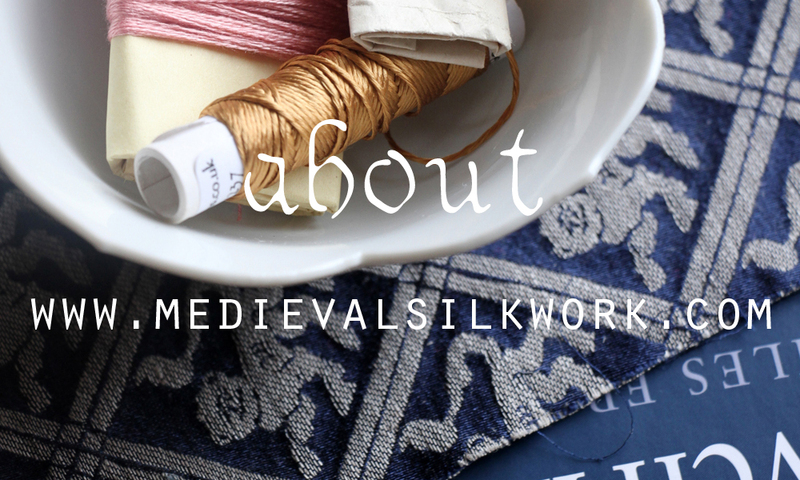 Medieval Silkwork is a blog about Medieval and Early Modern textiles and clothing. Subjects include mainly my personal pet peeves such as brick stitch embroidery, purses and bags, frilled headwear and other veils, as well as late medieval dress. It started as a small personal reenactment blog back in 2006, intended mainly to log my own projects and progress. Over the past (almost!) decade, I am proud and honoured to say that my blog has inspired many other talanted embroiderers and seamstresses to start their own blogs. Currently, Medieval Silkwork is read by about a thousand people each day from all over the world. Most of the research and projects shared on this blog are personal projects, but sometimes they are also comissioned by clients. The techniques shown and the materials used are as historically accurate as possible, but whenever I am choosing to use more modern solutions on occasion, this will be made perfectly clear.